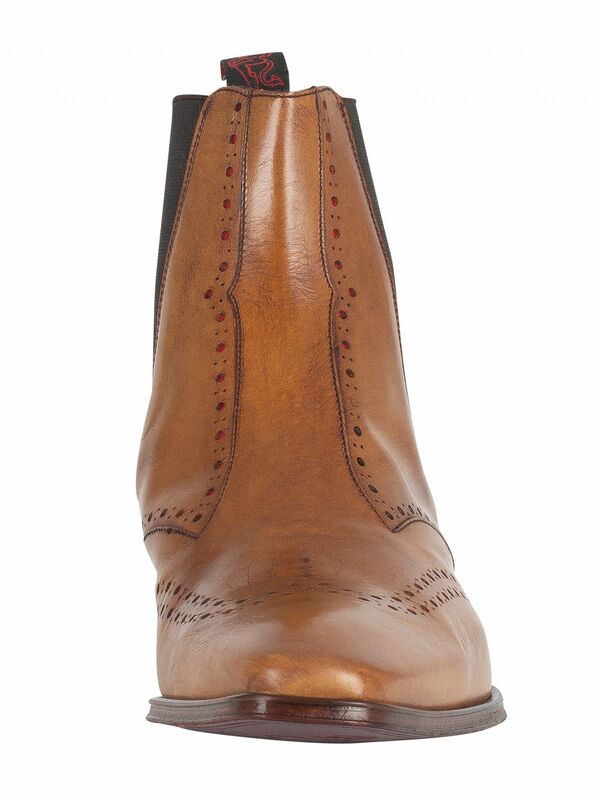 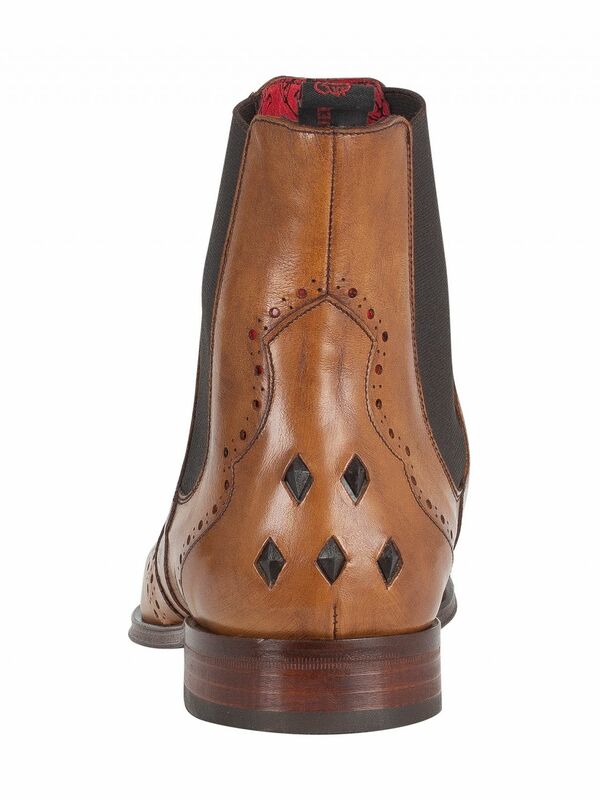 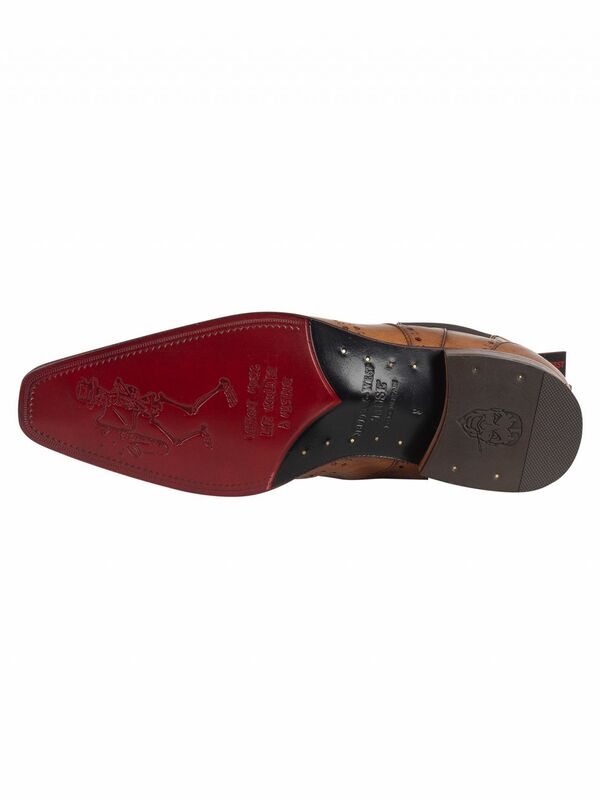 These Scarface Boots from Jeffery West has a decorative upper and crafted in detailing throughout. 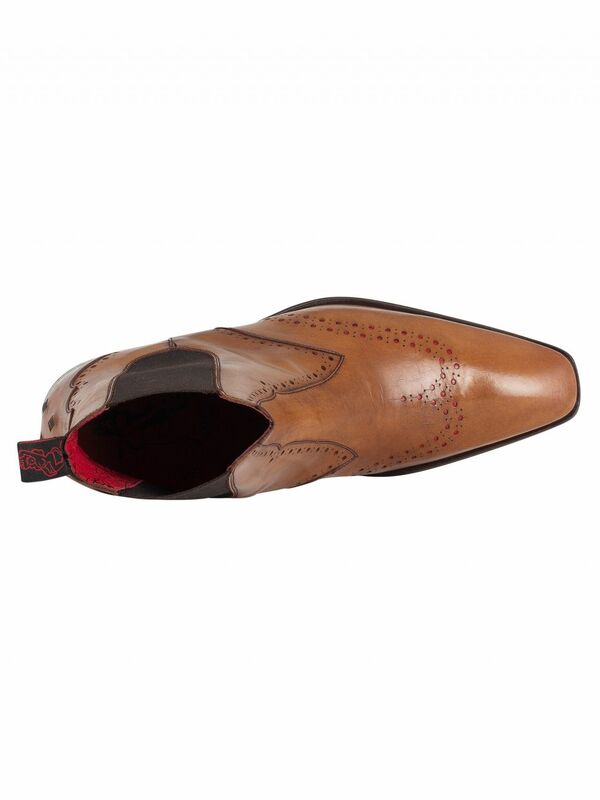 It has tonal elasticated panel that have been rounded for a crisp finish. 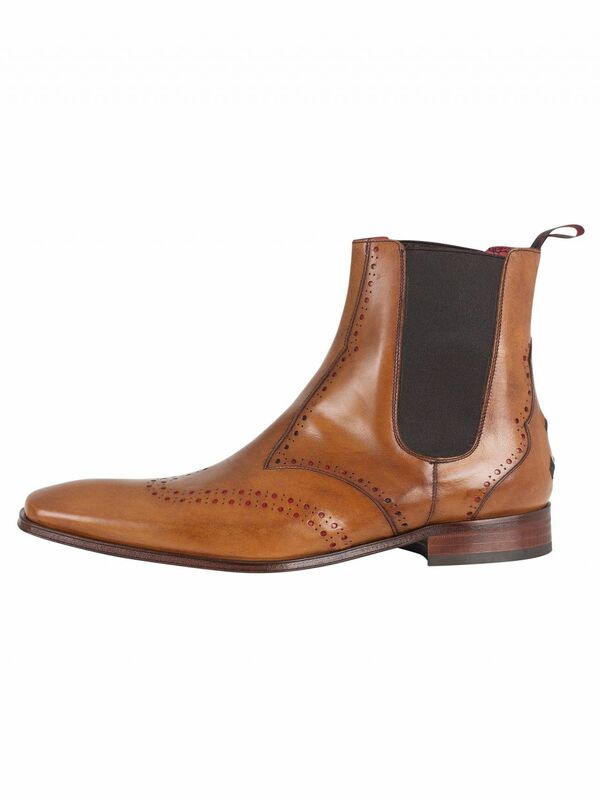 These boots sport leather sole with a rubber overlay, diamond cut out detailing to the rear and come in Lavato Tan/Charcoal Red colour. 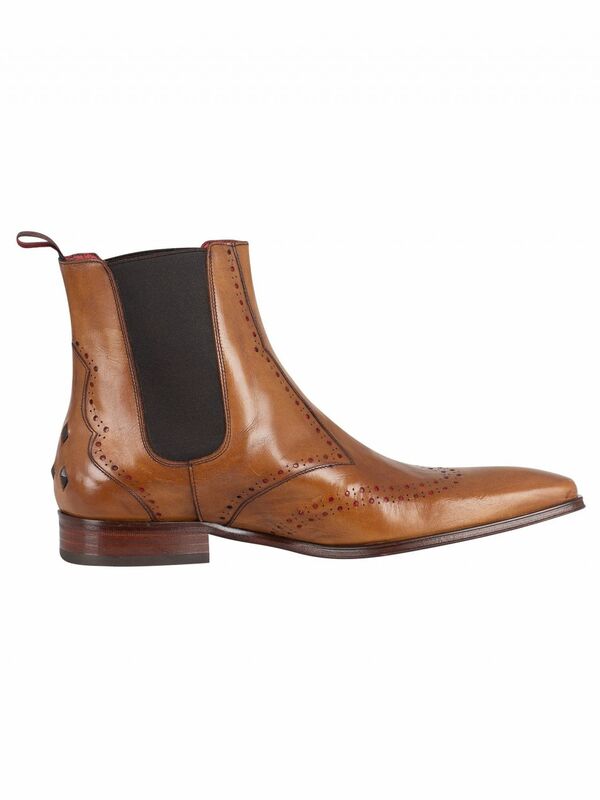 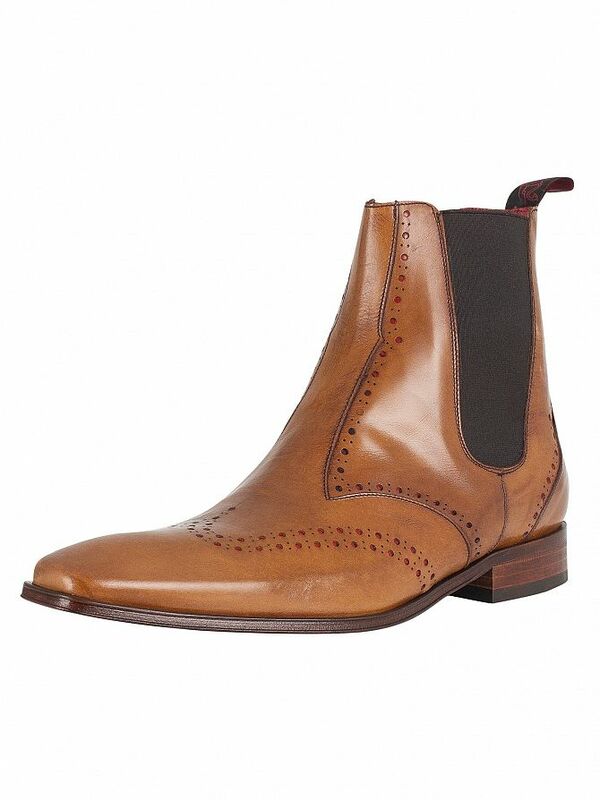 View similar Jeffery West or similar Chelsea Boots.